My mother’s maiden name was Rosa Carson. She was born on a very small farm in rural central Illinois in 1908. She loved school. She longed for as much education as possible. Her parents’ farm was six miles from Vandalia, where the high school was located in the early 1920s. She finished the one-room country grade school at age twelve. Then she drove a horse-drawn buggy down a rutted dirt road with her younger brother the six miles each morning and home each evening in all weather for four years of high school. She graduated second in the county at age sixteen, but was not sent to college. Her brothers were encouraged to go further, but as a girl, higher education was deemed unimportant, despite her many talents. I was born just after her 37th birthday, the last of four children and fifteen years younger than my next older sister. Mom encouraged me to read early. 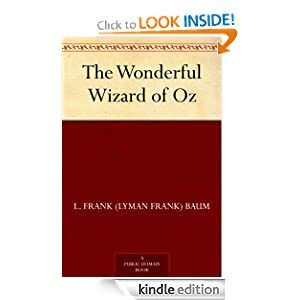 I still remember when I was 12 years old sitting in our living room on Eighth Street with a huge copy of The Wonderful Wizard of Oz. I remember the moment I finished the book. I didn’t want it to end. It was one of the first times I realized the power of a story to transport a person to another time and place. When I was in college I read voraciously, often to the detriment of my grades. I enjoyed novels much more than textbooks. I would go back to my boyhood home for a weekend and ask mom if she had heard of the novel I was reading. Nine out of ten times she would say, “Yes, I’ve read that” or “I’m reading it now.” She belonged to several contemporary book clubs and stayed abreast of new literature being published. Did I mention she worked fifty hours a week in her florist business, took care of our home, and did the bookkeeping for my father’s business? Along with reading, I grew up with a passion for nature and animals. I came by it honestly. My mother adopted every stray cat that dropped by and watched any TV show on animals that came along. Long after completing B.S. and M.A. degrees in biology I asked what propelled her interest in nature. A Girl of the Limberlost, a novel, she would say. 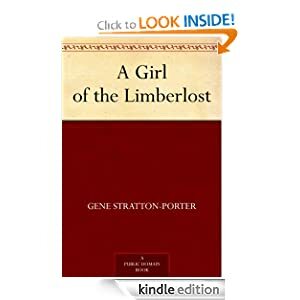 Gene Stratton-Porter was an Indiana author who wrote a series of books about a young girl infatuated with the Limberlost, a virgin forest teeming with big trees and wildlife. I remembered the name but never bothered to read the books. When my children’s plays were published in primary children’s readers, Mom shared her poetry and short stories with me. They were wonderful. I had no idea that she had aspirations of being a writer. She shared complaints and frustrations very sparingly. She looked always at the good side of people and the opportunities, choosing not to dwell on what did not happen as she wished. Just a few months ago I searched Amazon for Girl of the Limberlost and found it easily. I started reading it and was once again transported to a place I wanted to stay. Reading the Limberlost book I understood her connection to the girl in the story. They shared a love for nature and the challenge of being denied a career and education she craved. My mother passed away more than twenty years ago. I regret now that I waited so long to read the book that meant so much to her because it helped me know her in a way I never had before. I’ve realized many times that she was happy with her business and family life but she was also very pleased that I had chased a career she might have enjoyed. 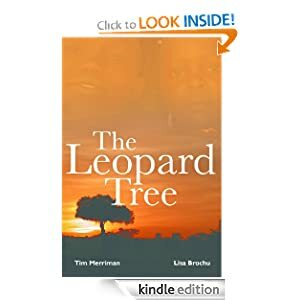 When Lisa Brochu, my wife, and I published our first novel in 2007, The Leopard Tree, the main character we created was a strong, intelligent woman who traveled the world as a photojournalist. We both had talented, hardworking mothers who might have had more exciting professional careers but their priorities were to raise a family, volunteer at church, and inspire us. We gave the main character in The Leopard Tree a familiar name, my mother’s, Rosa Carson. P.S. This is the first blog of what will be a weekly series about reading and writing books. If you read avidly or aspire to write, we hope you find inspiration and enjoyment here. Lisa Brochu, my wife and best friend, and I share a passion for story telling and the craftsmanship of writing. We hope you tune in and comment when the spirit moves you.